Rapidly increasing population, rising standards of living and exponential growth of industrialisation and urbanisation have exposed water resources, in general, and rivers, in particular, to various forms of degradation. The mighty Ganga is no exception. The deterioration in the water quality impacts the people immediately. Ganga, in some stretches, particularly during lean seasons has become unfit even for bathing. landmass and supports 43 per cent of its population. The cleanliness drive of river Ganga is getting momentum in recent times, due to various initiatives of Indian PM Narendar Modi. Widespread use of motorboats, mostly powered by diesel, has been a cause of concern in view of the alarming pollution level in the holy river Ganga. To eliminate noise and air pollution from diesel-engine boats by upgrading them into electric vessels that run on solar-powered batteries could solve the issue in some way. As a remedial measure, earlier Prime Minister Narendra Modi had visited his Lok Sabha constituency Varanasi in May this year. 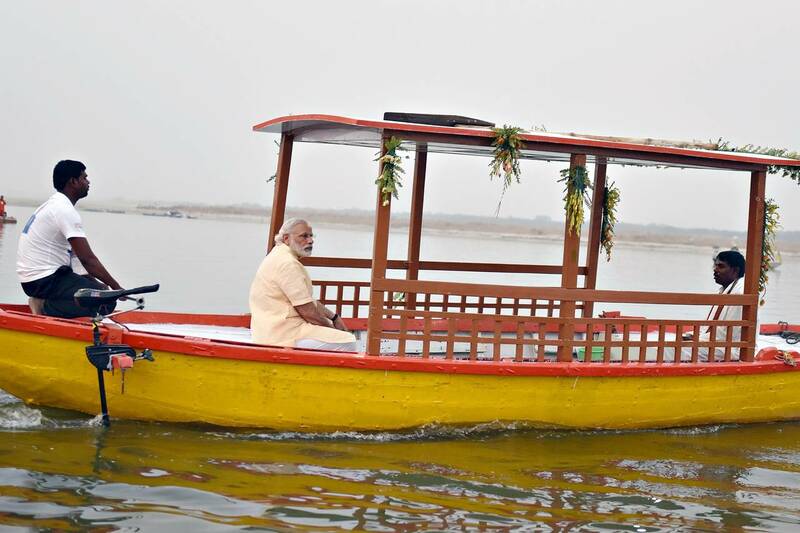 He had launched solar-powered boats for plying on river Ganga, also distributed 1,000 e-rickshaws to reduce the environmental pollution and to help in maintaining the cleanliness of river Ganga. 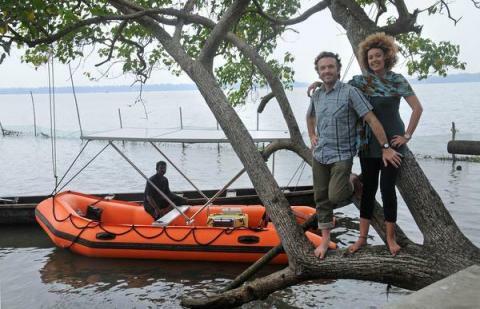 Now, to bolster public trust in clean energy using environment friendly transport, an international team of a journalist and a Guatemalan filmmaker Ana Cosenza aim for a world record for the longest solar powered boat travel down the Ganga. E-boats are not unusual in developed countries, where some of the most beautifully designed boats are power by solar energy. A Kochi-based company, Team Sustain has developed the solar boat by modifying a Zodiac Rubber Boat to fit three solar panels and a powerful electric motor. Tomczyk and Cosenza, will sail down from Rishikesh in Uttarakhand to the Sagar Island in Bay of Bengal. The 2,000 km journey across the Ganga is more about reaching the destination - it is about collecting and exchanging experiences. During their six to eight week sojourn, Cosenza and Tomczyk will stop in many towns and cities along the river bank to film the documentary 'Electric River Odyssey'. "It will establish a world record for the longest solar boat down any river. Along the journey we will film a six part travel documentary series for American television," Tomczyk said.